The world is heading in the wrong direction to slow climate change after another year of near-record temperatures, said the head of UN's weather agency. “We are not on track to meet climate change targets and rein in temperature increases,” UN News quoted Prof PetteriTaalas, Secretary-General of the World Meteorological Organization (WMO), as saying. He said greenhouse gas concentrations are once again at record levels and if the current trend continues, the temperature is likely to increase 3-5 degrees centigrade by the end of the century. “If we exploit all known fossil fuel resources, the temperature rise will be considerably higher,” the WMO chief said. Worryingly, the 20 warmest years on record have been in the past 22 years, with the top four in the past four years. “It is worth repeating once again that we are the first generation to fully understand climate change and the last generation to be able to do something about it,” Prof Taalas said. 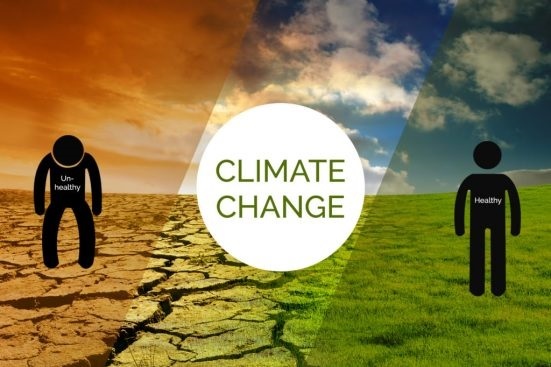 The WMO Secretary-General's comments support the findings of another authoritative global body -- The Intergovernmental Panel on Climate Change (IPCC). In its report on Global Warming of 1.5°C, it concluded that the average global temperature in the decade prior to 2015 was 0.86 degrees centigrade above pre-industrial levels. Between 2014 and 2018, however, this average has risen to 1.04 degrees centigrade above the pre-industrial baseline, IPCC's experts said. WMO's report adds to the scientific evidence that will inform climate change negotiations from December 2-14 in Katowice, Poland. This target is possible, according to the IPCC, but it would require ‘unprecedented changes’ in our lifestyle, energy and transport systems. This included the United States, where a recent federal report detailed how climate change is already affecting the environment, agriculture, energy, land and water resources, in addition to transport, people's health and welfare. A just-published United Kingdom assessment also warned that summer temperatures could be up to 5.4 degrees centigrade hotter, and summer rainfall could decrease by up to 47 percent by 2070. In Switzerland, famed for its mountains and skiing, national weather experts warned earlier this month that the country is becoming hotter and drier. In addition, it is expected to struggle with heavier rainfall in the future - and less snow.